It’s been a while since I’ve posted. I’ve been busy working on my Quantified Self-related interests: working on my personal tracking projects and organizing the QS Los Angeles meetups. Yesterday I gave a show & tell presentation on my experiences with life logging and location tracking. Many of you who read the blog are probably familiar with a lot of this since I’ve been posting my experiences on this topic for the past 3-4 years. 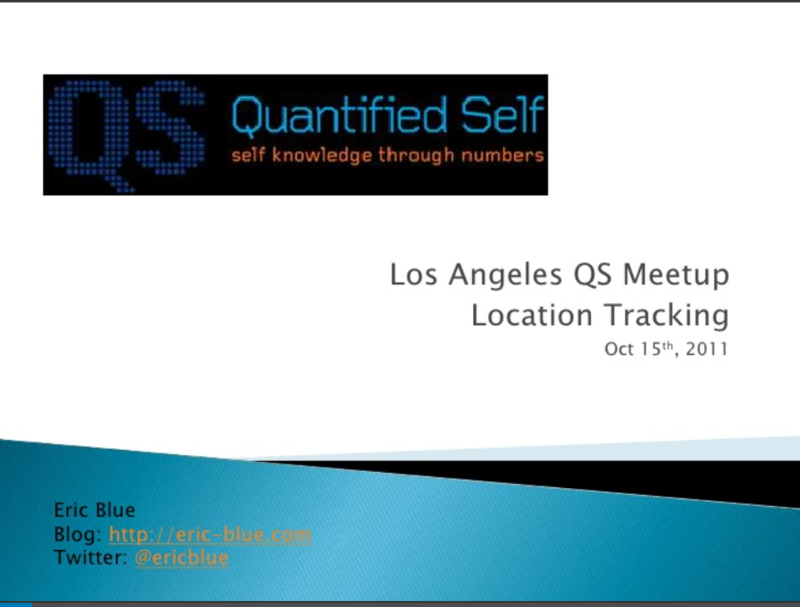 Check out the presentation outlining my original experience with life logging while creating my own personal travel journal and my gradual interest in the Quantified Self movement and using GPS devices to automatically track my location.